Stencils can be made for a number of applications. These could include painting stencils for information ( exit, fire, company name etc) or decorative stencils for wall borders or toll painting. 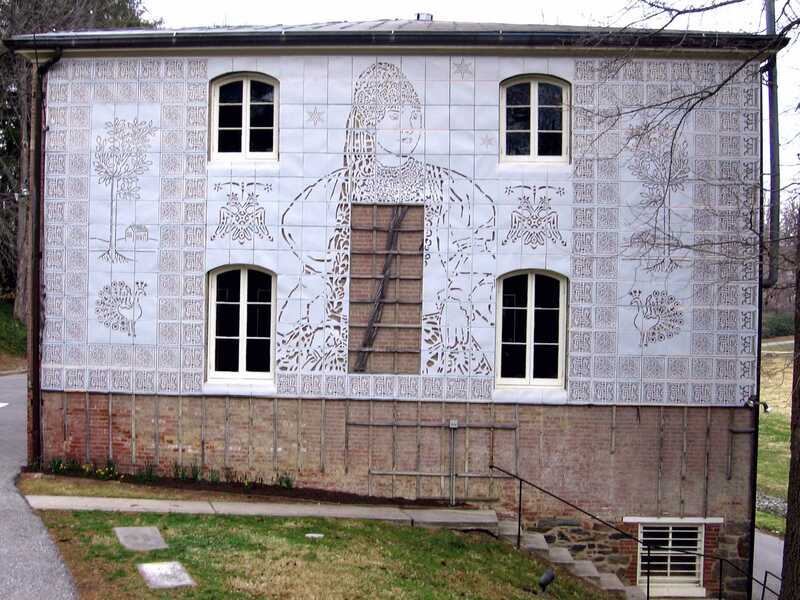 Stencils can be made from paper, cardboard, polyester (mylar), or acrylic. 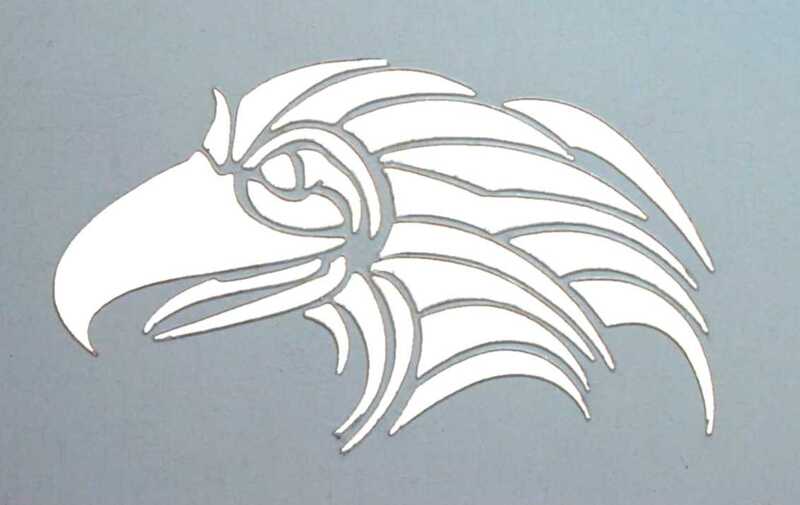 Mylar stencils are very durable (.007 inches thick) and can be used many times. We also have the "blue" mylar that is typically used for decorative stencils. We have the ability to scan and prepare most drawing or pictures to help produce your stencil. We will be glad to help you get the right stencil for the job. If you have a particular design or need for a stencil, please e-mail us with your requirements and we will be glad to give you a prompt quote. Mylar stencil (5.00" x 1.25" x 0.007") Click on the picture for a larger view, use your back key to return to this page. Mylar stencil (17.00" x 4.00" x 0.007") Click on the picture for a larger view, use your back key to return to this page. Polypropylene squares (14.25 x 14.25 x 0.008) laser cut to form a large mural made out of stencils. Custom Mylar Stencil. Click on the picture for a larger view, use your back key to return to this page.